For the first time ever, you can watch the arrivals at the Metropolitan Museum of Art's Costume Institute Gala Red Carpet LIVE with hosts model Elettra Wiedemann and VOGUE's William Norwich. 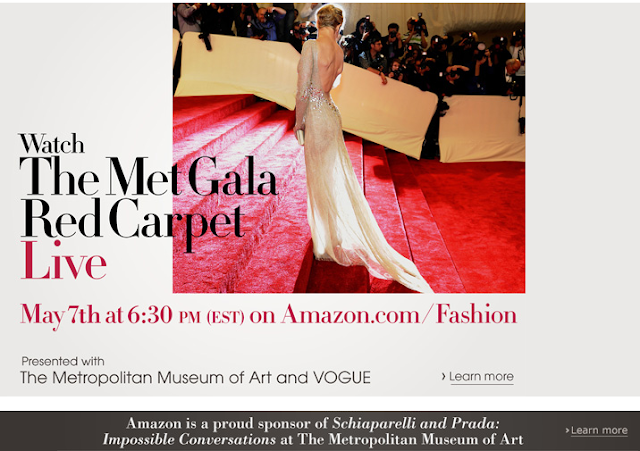 LIVESTREAM: Amazon.com and the Vogue website. Sweet Eyes ... Rihanna AGAIN!